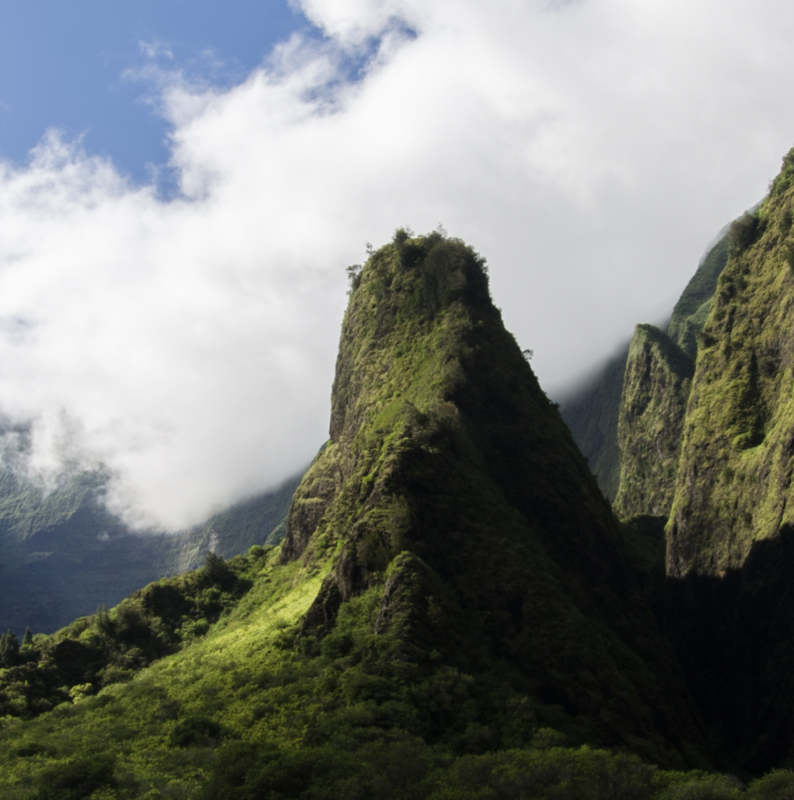 Visit Iao Valley, Ancient Battlefield of the Great Kamehameha Battlefield, Needle Valley, Lahaina, Whale Museum, Tropical Botanical Garden,Kapalua Bay Villas, D. T. Fleming Beach Park, Kaanapali Beach Park. Morning fly to Maui “the Valley Island,” visit the famous ancient battlefield of the Great Kamehameha battlefield - Needle Valley. Then along the coastal highway, lookout the Holy Land of snorkeling--Molokini, come to the classic Hawaiian whaling port -- Lahaina. Scenery and the buildings have variety of different styles, visiting the Whale Museum, tropical Botanical Garden, Kapalua Bay Villas, one of America’s most beautiful beaches - D. T. Fleming Beach Park, and Kaanapali Beach Park. After a pleasent one day trip, passengers will be transfered to airport back to Honolulu or other island.